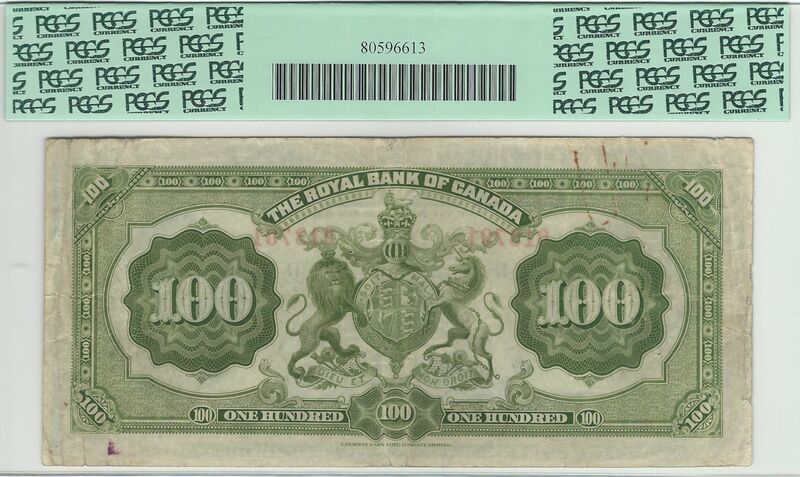 Very little wear can be seen on this high denomination beauty. 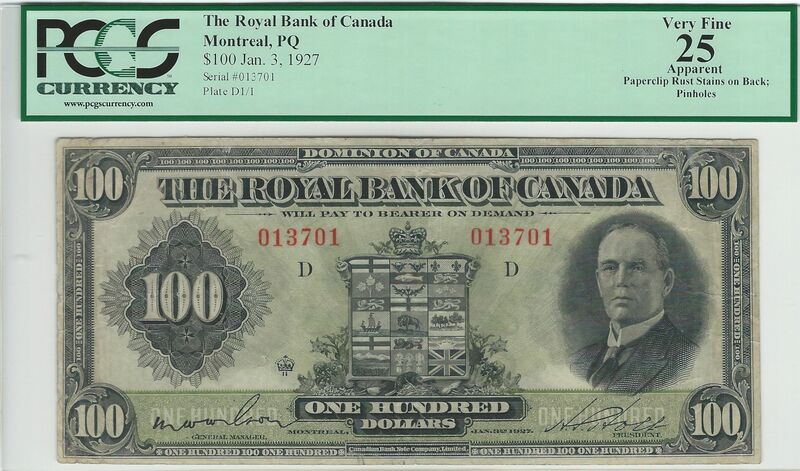 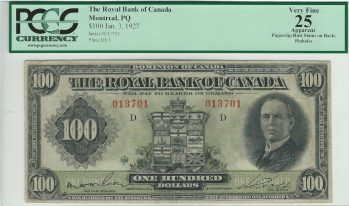 It is always fun to see $100 charter notes issued while Canada was still using large size banknotes. 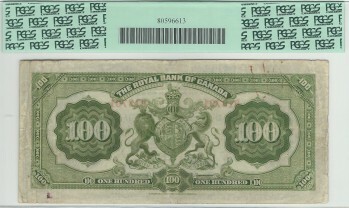 They are very impressive and tough to find, especially in VF grades.